Our UFCW Local 700 Union Bargaining Committee is comprised of Union leaders and representatives, members who work in South Bend Kroger stores, and UFCW International staff. We met recently to review contract proposals. During bargaining, we will be negotiating wages, language, and the meat pension; health care coverage and retirement benefits for clerks are negotiated as part of the Indianapolis Kroger agreement that expires in May of 2019. We are scheduled to meet with the company on October 11, October 25, and October 26; our preference was to begin negotiations earlier, however, these dates were the earliest available. We are committed to reaching an agreement that raises wages, increases opportunity, and keeps members safe at work. 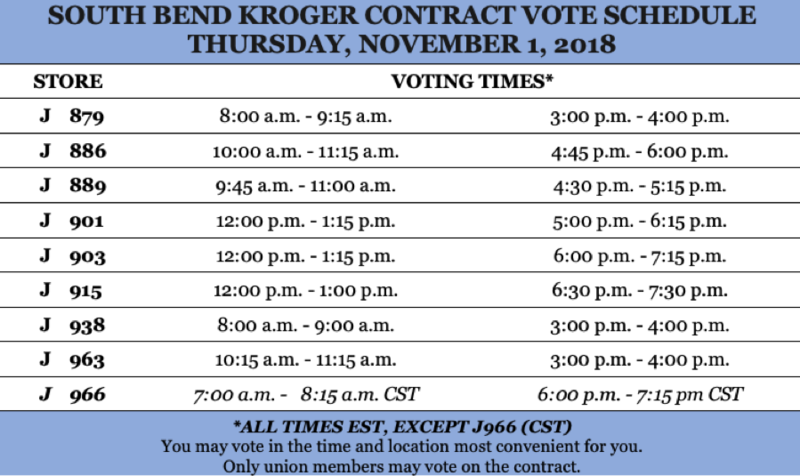 If you’d like to receive bargaining updates, please email bkelly@ufcw700.org with subject South Bend Kroger.